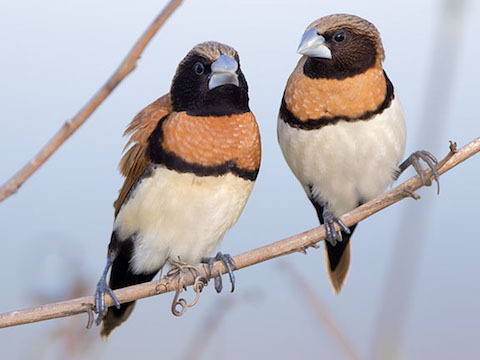 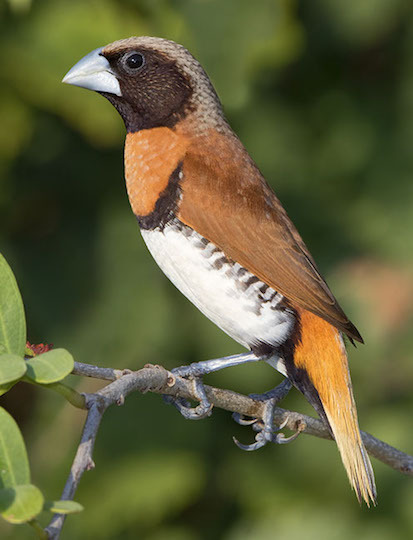 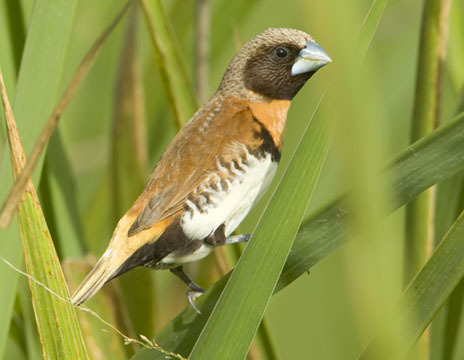 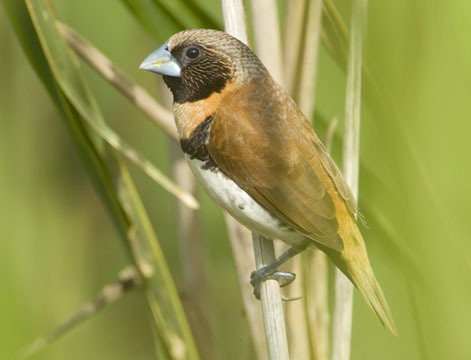 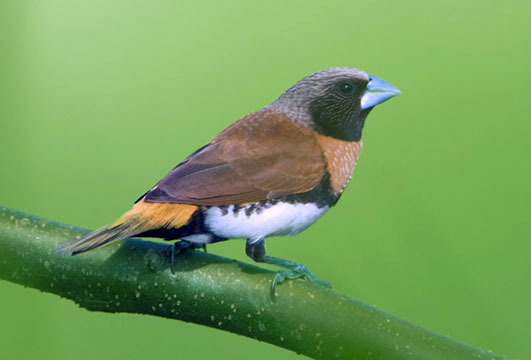 Australia has a wealth of finches; most are small seed-feeders. 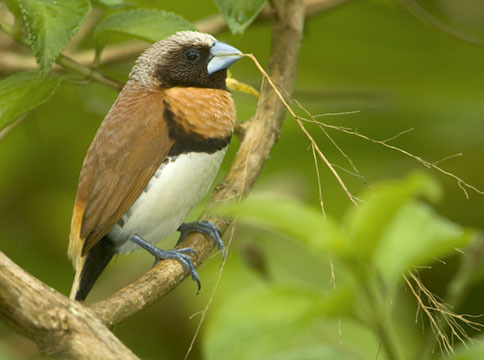 This is the chestnut-breasted manakin, found across much of the north of the continent. 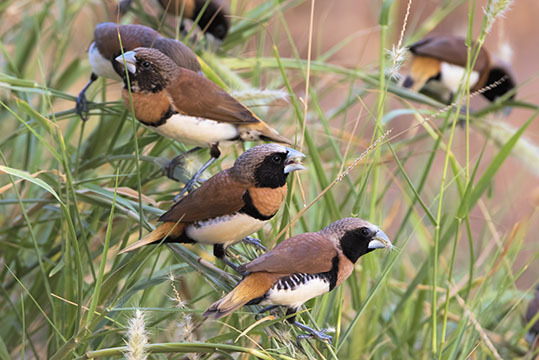 Most of these were in Darwin, in the Northern Territory. 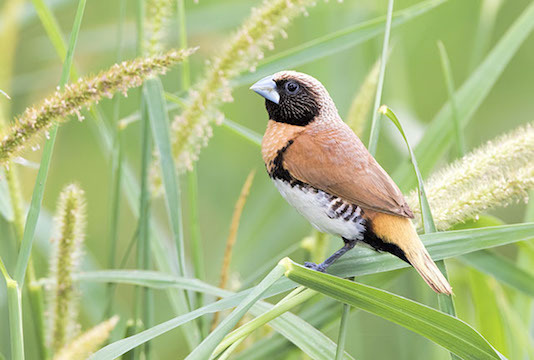 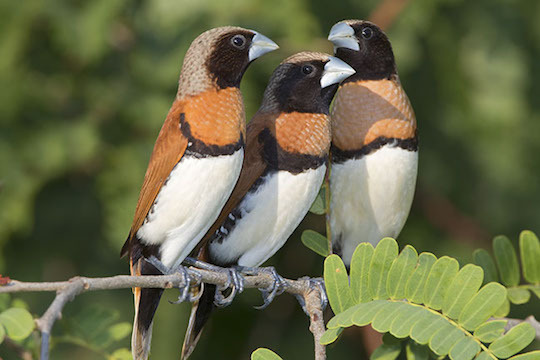 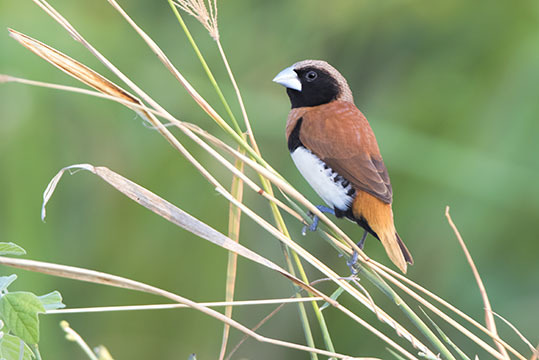 To the east in Kakadu Park there were long-tailed, crimson, and double-barred finches drinking from a small puddle; the insanely bright Gouldian finch, although increasingly rare, also occurs in this region. 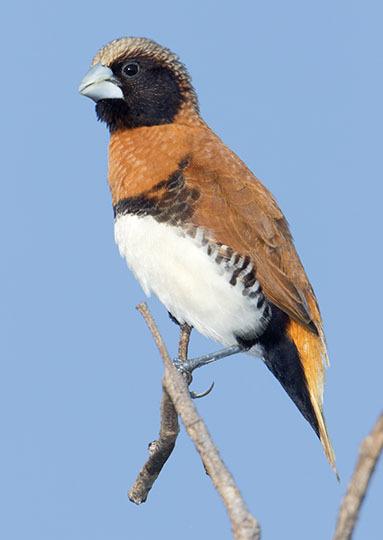 Some of these birds were in far north Queensland.